I always think of that silly little nursery rhyme whenever I make a tear bear. It's been a long while since I've made one of these but now I remember why I love them so much. These little guys are surprisingly simple to make. 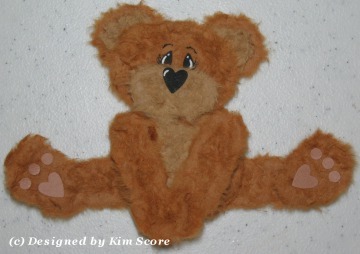 Please check back this weekend for a tutorial on how to make this little fuzzy wuzzy bear. Very, very cute and cuddly looking. For me when I hear the Fuzzy Wuzzy bit I always think of the soap that was around when I was a kid that was shaped like a bear and would grow furry looking stuff (on purpose - lol! )when you got it wet.